Nothing better than a good pipe and a nice sight to go along with it... it's always sad to see how few people can truly appreciate these things. Jespar Mitumial Dal'Varek is a mercenary originally employed by Constantine Firespark to look into Magister Yero's life. He is one of the two romance options, the other being Calia Sakaresh. The Prophet is introduced to Jespar when he saves them after the bandit attack against Finn and Carbos. He determines that the Prophet is suffering from Arcane Fever and that they should speak to his employer, The Holy Order, in exchange for helping him complete his current job. Jespar is continually employed by The Holy Order and joins the Prophet on several quests. 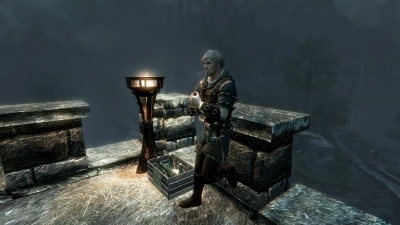 If the player has a higher affinity with him than with Calia Sakaresh or if he is romanced, he will accompany the player on the final quest. He can usually be found at the Drunken Nomad tavern in the Foreign Quarter of Ark. In combat Jespar fights using two iron daggers. Jespar can't be pickpocketed. You know… this is exactly the reason why I love inns so much. The sky can rain fire out there, in here you'll always meet laughter and good humor. Not to mention all the good-looking men and women. Jespar has an easygoing and fun-loving personality. He values personal gratification and avoids responsibilities, although this trait changes as the game progresses. Jespar is a Sublime by his path, as indicated by the "Dal" prefix in his surname. However, he tends to ignore or even hide this fact, as he sees titles as just a way for some people to feel superior to others. He regards himself as a mercenary, yet his knowledge of history and books reach beyond any common mercenary's skills and abilities. This may be due in part to his Sublime upbringing, which would allow him to have access to knowledge most people would never have. Jespar’s family included his father, mother, two brothers, and his younger sister, Adila. Jespar’s mother died giving birth to Adila. His father, Damean Dal’Varek, and two brothers were killed in an attack on the Dal’Varek estate. Young Jespar and Adila survived the attack only because they had snuck out and gone on one of their “expeditions,” as Jespar called them. Jespar and Adila were then taken in by a friendly family. Jespar and Adila became estranged in later life. She was devastated by the loss of her family and sought solace in old family memories and their father’s books, whereas Jespar blamed his idealistic father for putting his principles above the safety of his family and wanted nothing more to do with family relics. This anger toward his father’s idealism played a large part in shaping Jespar’s views of the world and his personal relationships. As a young adult, Adila joined the Order of the Apothecarii in the Frostcliff Mountains. During Every Day Like The Last, Part III, Jespar reveals that he went to visit Adila in an attempt to mend their relationship shortly before he met the Prophet, but Adila had left the Apothecary, with no explanation of why or where she intended to go. Jespar tells the Prophet about a former companion and partner, Lysia, during Every Day Like the Last, Part II. According to most people’s definition, they were “a couple”, despite Jespar’s reluctance to apply that label. Jespar says they traveled together for three years, but she was too intense and reckless for him and she wanted more from their “partnership” than he did, so they eventually separated. The Prophet later learns that Lysia was attacked, and likely killed, by bandits. Although Jespar was hopelessly outnumbered, he did nothing to try to save her, and the guilt for his inaction still haunts him. Jespar's view on "heroism" is consistent with his perception of humanity and what drives people in general. When casually chatting with Jespar over a glass of wine during Every Day Like the Last, Part I, Jespar will expound on what "heroism" means to him. He strongly believes that the so-called "heroes" are no better than anyone else, because like everyone else, they are driven by the same motivations — their perception of themselves: Egotism. To him, "heroes" perform their laudable deeds, in reality, because they want to see themselves in a certain light. Jespar provides an example of a Keeper who saves a farmer from bandits, not for the sake of the poor farmer, but for the sake of the Keeper himself, so that he can see himself in a certain light, upholding the image of what a Keeper should be and how a Keeper should act. The Keeper may believe he serves a "higher purpose", but without understanding what truly drives him, his notions of "honor", "religion", and so on, he can easily be manipulated. Jespar is aware the fact that what he does he does solely for himself, no one else, and believes he lacks “both the pathos and idealism” to serve the Order in any other capacity than as a sellsword. The world would be a much better place if everyone could just acknowledge that the only reason we're here is that we want to be happy. Jespar's philosophy of life is based on an affirmation of life and living one's life to the fullest. In the dialogue with the Prophet during Every Day Like the Last, Part I , Jespar explains that his love for inns is due to their merry and relaxed atmosphere, even in the face of unpleasant happenings in the outside world. Thus, the inn's good humor and everlasting peals of laughter remain impervious to prophecies of the world falling apart. What matters, according to Jespar, are results, not attitudes or intentions, be they cheerful or despondent. It does not really matter if we choose to be humorous and carefree, when tackling menacing and perilous situations. There is absolutely nothing wrong with enjoying the life when the times are dire. Jespar's way of thinking is intertwined with his views on "heroism" and the purpose of life. He strongly believes that it is high time people acknowledged that the only reason we are here is to be happy. To explain his reasoning, he quotes the Wise Hermit's words: "seek bliss, avoid pain". The only goal of life is survival and pleasure, which can be found by drinking a good glass of beer or wine or simply living an exciting lifestyle. Jespar, however, does not exclude the possibility of other purposes of life, yet he seems quite convinced that this purpose is to be found neither in religion nor in "predigested philosophies". Fight for the moment, and the moment only... Because unlike everything else, you can be certain of its truth. Jespar's wanderlust inspires him to explore the world and to take any advantage of an exciting journey. 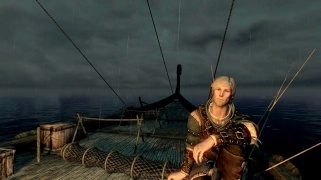 During the first of his personal quests, Every Day Like the Last, Part I he reveals to the Prophet his plans about leaving Enderal and taking a ship to Kilé, if there is a place available for him. It's the one universal rule that there is to this world - No matter how much you try to accomplish something… In the end, stupid people will destroy all you've achieved, with no more than a snap of their fingers. Jespar has a very objective worldview. He sees life as a simple equation of choices and consequences and sees idealism as foolish. This is mainly due to Jespar's staunch disagreement in worldviews with his father, Damean Dal’Varek, who had served as a judge and voted to incriminate a notorious but wealthy criminal for murdering two prostitutes. The trial failed as the other 11 judges voted to release the man. 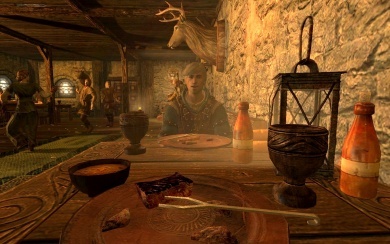 Damean's decision incited revenge from the accused and lead to the destruction of the Dal’Varek estate and murder of the entire Dal'Varek family, save young Jespar and his sister Adila who were not home at the time. Jespar's views on responsibility soften throughout the game as he learns to associate responsibility with meaning and purpose in life instead of burden. … I've always considered responsibility and being happy to be contradictory. But actually, that's wrong, it's the exact opposite. In order to be truly content, we need... connection. To a person, to a cause, to anything. If you never find that, you'll never find yourself. Jespar has an atypical view on romantic relationships, seeing them as a fabricated construct of society on what love should be. Although he can be romanced and does believe in love, he does not believe in traditional commitment. He regards that lovers should stay together out of genuine desire to do so, not because they feel they must. Jespar can be romanced by a male or a female Prophet, just like Calia. Although keeping a high affinity with him is necessary to make the romance possible, it is not what locks the player to his romance. There is a point in the story where Jespar asks The Prophet how they feel about Calia. If the Prophet responds with "We're just friends", romance with Jespar will be possible and Calia’s romance will be unavailable. If they respond with "I don't know yet", romance with Calia will be possible, and Jespar’s romance will be unavailable. 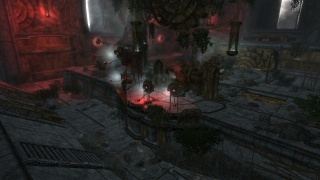 During Forgotten Homeland, Part I, after the Starling Airship launches, the Prophet has the opportunity to interact separately with Calia and Jespar. If Jespar’s romance is available, the Prophet will be cued to talk with Calia first, starting Two Souls, Part V. Upon completion, the quest Every Day is Like the Last, Part V will commence. 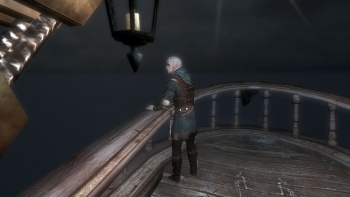 The Prophet will find Jespar on the deck of the Starling Airship, contemplating the amazing turn of events that resulted in him being part of such a momentous task, and to his surprise, he likes the feeling. He goes on to tell the Prophet that his views on responsibility have changed since they met and he now believes it is the connections in one’s life that make them truly content. At a point in the conversation, the Prophet can respond “So it's just friends then?” to turn the conversation toward romance. Jespar reaffirms his discontent with traditional relationship “constructs.” If the Prophet ultimately responds “Well, then let's find out where it does take us,” Jespar then kisses the Prophet as the screen fades to black. The following morning, they are undressed in bed together. After a brief conversation, they continue the adventure to stop The Cleansing. Generally, agreeing with your companions results in the companion's approval and contribute to the Prophet's affinity with the companion. 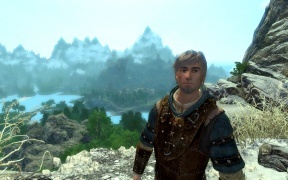 See Jespar's personal quests for a detailed guide on approval. In the book Tales of The Wanderer: The Shadow Dancer, the assassin is described as a young, good-looking, blond man with a long scar over his right eye, and calls himself Jasper. 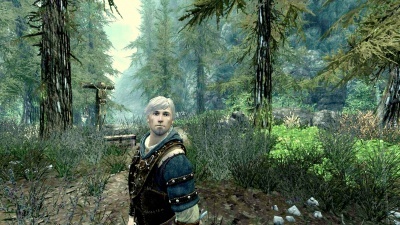 This is very similar to Jespar Dal'Varek, who is also blond, has a long scar under his right eye and cheekily refers to himself as a good-looking mercenary. However, unlike the Shadow Dancer, Jespar has not magical talent, something which the Shadow Dancer does have. Jespar will occasionally sing one of the last lines of one of the bard's songs, The Song of the Aged Man, after which he will chuckle, "I know; I can't sing." Jespar is the only character in the entire game who will say, "I love you," to The Prophet. This page was last modified on 20 September 2018, at 19:06.